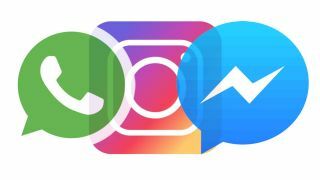 Facebook is planning on integrating its three popular messaging services – Instagram, WhatsApp and Facebook Messenger – so that they work closer together. The good news is that this doesn’t mean that the three services will get merged into one single messaging service, but instead their underlying messaging infrastructures will be unified, potentially allowing messages sent using one service to be read on another. The move will require all the apps to use end-to-end encryption, which is a security measure used in WhatsApp to ensure that people outside of conversations cannot read private messages. While at first this news could be worrying – especially to people who have been wary about using Facebook but still want to use WhatsApp and Instagram after the social network took them over – it might not be all that bad. For a start, it doesn’t look like Facebook is planning to completely merge the services (for now at least). Spreading end-to-end encryption to the other messaging services is also a welcome move. Plus, it means that someone using Facebook Messenger could potentially send a message to a friend on WhatsApp without the friend having to have a Facebook account. Still, according to the New York Times, this move has prompted controversy within Facebook, with Instagram’s founders, Kevin Systrom and Mike Krieger quitting last year apparently because of Zuckerberg’s increased control over the service. WhatsApp’s founders, Jan Koum and Brian Acton also left Facebook, again apparently due to similar concerns. The news that Facebook will be closely integrating the three services is certainly a change in how the company previously dealt with the separate platforms. Previously, Facebook was careful to keep the services independent from each other, with Zuckerberg assuring users of WhatsApp and Instagram that the services would remain autonomous. With scandals piling up for Facebook, that autonomy was increasingly important to many of the users. However, they could also be the reason for Zuckerberg wanting to combine the various services his company runs, while taking on more control over them. Whatever the reasons, the process is likely to take its time, with the New York Times suggesting that Facebook is in the early stages of the process, and that it will likely complete the integration by the end of this year, or by early 2020. Facebook has also confirmed to the BBC that this is just the start of a “long process”. So, for anyone who uses WhatsApp and Instagram but doesn’t like Facebook, we wouldn’t be too worried just yet.